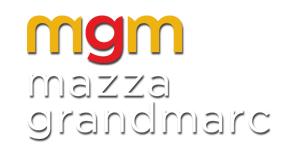 Mazza Grandmarc offers furnished apartments but you are more than welcome to bring anything special to you. The list is long! Our apartments include fully-equipped kitchens, a full-size washer & dryer, cable TV, high-speed Internet, and trash. All residents will also have access to the amenities provided in our clubhouse, as well as the shuttle buses for easy access to The University of Maryland. Unfortunately Mazza Grandmarc does not allow pets on property. Minutes from The University of Maryland! We offer FREE Shuttle Buses that take you right to campus. Yes, Mazza Grandmarc has plenty of garage parking available to residents and their guests. We offer reserved parking spaces for a modest fee. Rent is due on the 1st of every month; however there is a grace period until the 5th. On the 5th, rent is considered late and subject to a fine. For your convenience, you can pay online via the property’s website (click on PAY RENT under the RESIDENTS section of our website) using a debit/credit card, set up an automatic withdrawal, E-check, or pay with a check or money order at the Leasing Office. No cash is accepted. Our team is available 24/7. Please call the leasing office. A typical furnished apartment will include a lounge chair, sofa, coffee table, end table, entertainment center with flat screen TV, and bar stools for the number of bedrooms in the home. Bedrooms are furnished with a desk, desk chair, dresser, and a full-size bed. Kitchens include refrigerators, ice maker, stove, dishwasher, garbage disposal, microwave, and full-size washer and dryer. Please refer to the property website under Apartment Amenities for details and specifics for this property. The property will accept packages and they can be retrieved during the property’s business hours with proper ID – you will also receive a text and/or an email each time a package is delivered. You should contact your roommates prior to moving-in to coordinate the common area furnishings and items such as; sound systems, trash cans, plates, silverware, cups, pots & pans, etc. For your own bedroom and personal space, you will need to bring your bath and personal products as well as a shower curtain & hooks, bath mats, towels, linens, pillows, and whatever else will help create your home away from home. Your community's staff members are a great resource for planning your move – don't hesitate to call them with questions or simply to feel reassured about what you've already prepared.